Create awareness and drive album presales of Miranda Lambert’s new album, Platinum, before its release date on June 3rd, 2014 through a 7-market tour. Engage patrons with Miranda Lambert’s lifestyle and brand in a fun environment that models Miranda’s personality deepening the artist – fan connection. Partner with label-directed radio stations across the US to promote each tour stop. 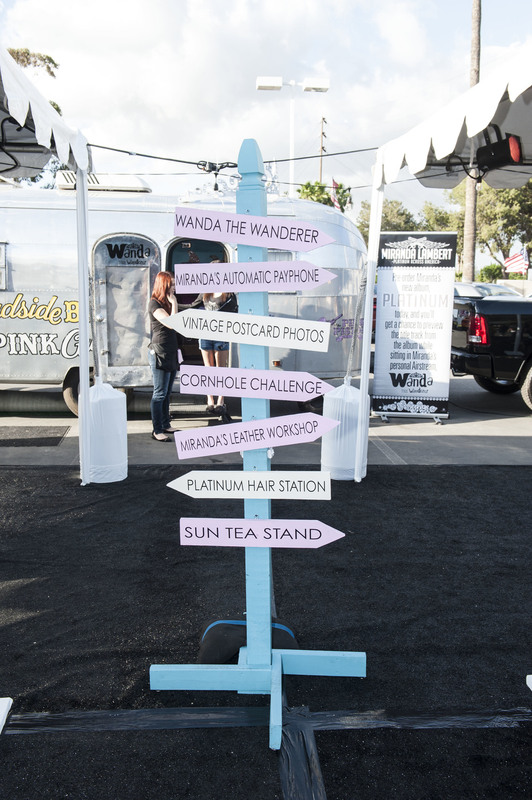 Miranda’s personal Airstream trailer, “Wanda the Wanderer,” to travel on the tour and host preview listening sessions of her entire new unreleased album to contest winners around the country. Patrons who were present at the event and pre-bought the album could also listen to the title track on the Airstream trailer. The footprint also included a variety of complimentary activities including Platinum Corn Hole, Platinum Leather Woprkshop, vintage postcard photos for patrons to take home, Platinum Hair Station, Sun Tea Stand and a vintage payphone where patrons could hear recorded messages from Miranda to her fans. The tour successfully increased album presales while simultaneously creating a greater connection between Miranda Lambert and her fans. The grass roots effort delivered countless impressions as fans spread the word via social media and word-of-mouth about this fun and unique experience.